How do You Paint Brick? Painting brick isn’t for everybody. But if you don’t like the color or texture of your brick, deciding to paint over it can open up your design choices, as we explored in our last blog. So, once you decide to paint your bricks, what are the tricks? Whether you’re working indoors or outside, you’ll need to start with a good scrubbing. And you’ll need to leave plenty of time for drying, because bricks are porous. They soak up moisture and require extra cleaning attention. “No matter what, you have to make sure the surface is clean, dull, and dry,” says Hirshfield’s Outside Sales Manager Paul Bergevin, a NACE certified coatings inspector who has worked with contractors for more than 35 years. For older homes with glazed brick, you’ll need to use a deglosser or special primer, because the surface needs to be dull for paint to stick. And it needs to be dry. You’ll have to wait at least a couple days after cleaning before you can start painting, depending on the humidity in your home. Once it’s clean – and dry – the painting can begin. Paul says that’s the easiest part. 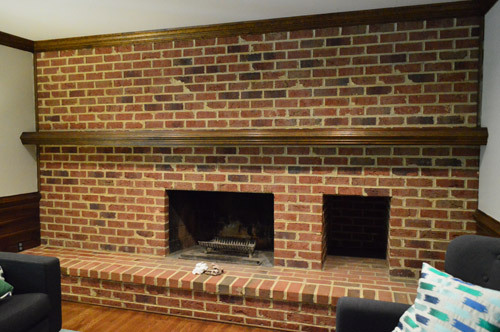 In fact, he says well-washed interior brick won’t even need a primer. You may consider Elastomeric paints for exterior brick. They are made to expand and contract with the brick, but Paul usually recommends acrylics. “Elastomeric is more often seen in commercial buildings” he says. “It could be used on a home, but it’s kind of overkill.” His main concern is that Elastomeric paint can trap moisture inside the brick, a problem if your wall is also adjacent to a bathroom or other source of moisture. 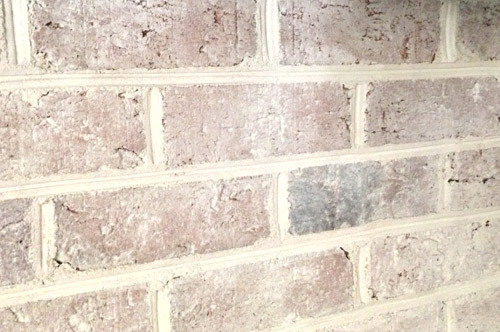 Another treatment for brick is whitewashing. The process is a bit like staining, as you can see in this post on the Young House Love blog. You wipe a thin paint onto the brick and then rub it away, letting some of the brick’s original color come through the pigment. When it’s done well, it makes the brick look like it’s brand new. If you’re looking for more tricks to handle brick, visit your nearest Hirshfield’s location in Minnesota, North Dakota and Wisconsin. We have advice and product for all of your projects.